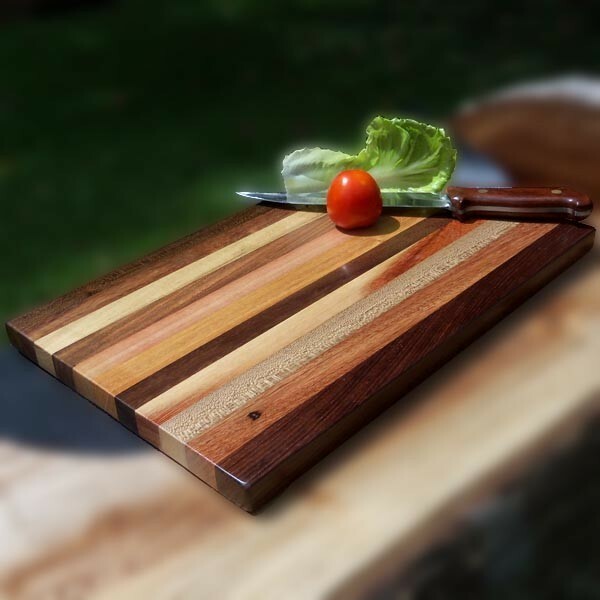 Large wooden cutting board. Classic styling for any kitchen. Both practical and artistic. Made of assorted exotic Belizean hardwoods. Assortment of hardwoods includes: purple heart, granadillo, hobillo, rosewood, manchiche (aka “Mayan walnut”), brown rosewood, guanacaste, and ziricote. 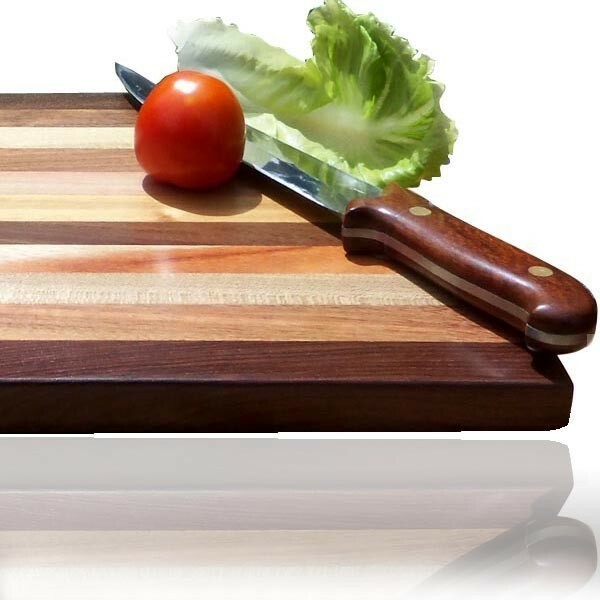 Natural food grade edible oil finish. No chemical sealant. Think it's too pretty to actually use? No problem. Just chop on one side, and keep the other side face-up for show. Re-oil as needed with vegetable oil, or any natural food-grade oil.